Many studies produce strong evidence that even three to five minutes of contact with “nature” can significantly reduce stress and have a complex impact on emotions, reducing anger and fear and increasing pleasant feelings. That beats drinking eggnog so let heaven and nature sing! Have a “natural” Christmas with evergreen boughs, a fresh cut tree or live potted tree, a Poinsettia, Norfolk Island Pine, Christmas Cactus, Paperwhites, Amaryllis or fresh arrangement! Other studies I read continue to suggest that environment can influence your mood. For example, the results of several research studies reveal that rooms with bright light, both natural and artificial, can improve a variety of health outcomes. 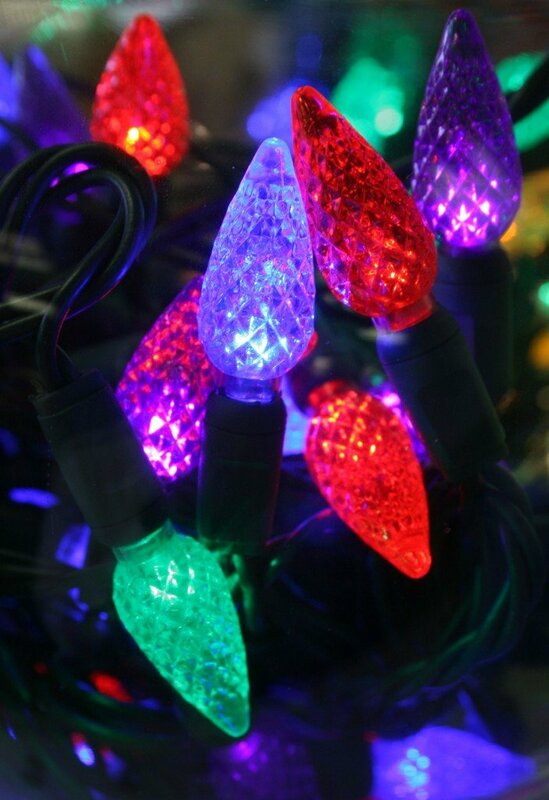 Now there’s a good reason to get out a ladder and string some Christmas lights indoors and out and be merry! I have personally many times seen the effect some strategically placed Christmas lights can have on the disposition of someone who is feeling a little down during the holidays. A little bit of “electric ivy” can make their spirits bright. With winter comes shorter day length and landscape dormancy which makes the aroma, the feel, the sight of evergreen branches such a welcome addition to our homes during the Christmas season. Enjoy the sweet smell of Douglas Fir, the prickly personality of Spruce, the distinctive aroma of Fraser Fir (to my nose Fir has a hint of citrus) or the comfortable presence of Pine that makes you feel at home. Start with some welcoming containers of evergreen for your deck or entry steps. I like to use large ceramic pots that were used for flowering annuals during the growing season but any large pots will suffice. In November before the soil freezes hard, evergreen branches cut at a 45 degree angle to create a point can be pushed into the soil to arrange your festive welcome. If you’re potting up some new containers make sure to have some bags of thawed potting soil stored for use for when you’re ready to arrange. After your arrangement is made and left outdoors the soil will freeze and hold the branches in place. . Look around and be creative, you’ll be surprised how much there is to choose from. Some branches from a Holly, Dogwood or Ninebark shrub or Birch and Willow branches will make the perfect supplement to the evergreen boughs. Just make sure to check with your neighbors and get their permission before snipping in their yard so we keep everyone’s spirits bright. A few evergreen wreaths and some evergreen garland will help make things merry and festive. 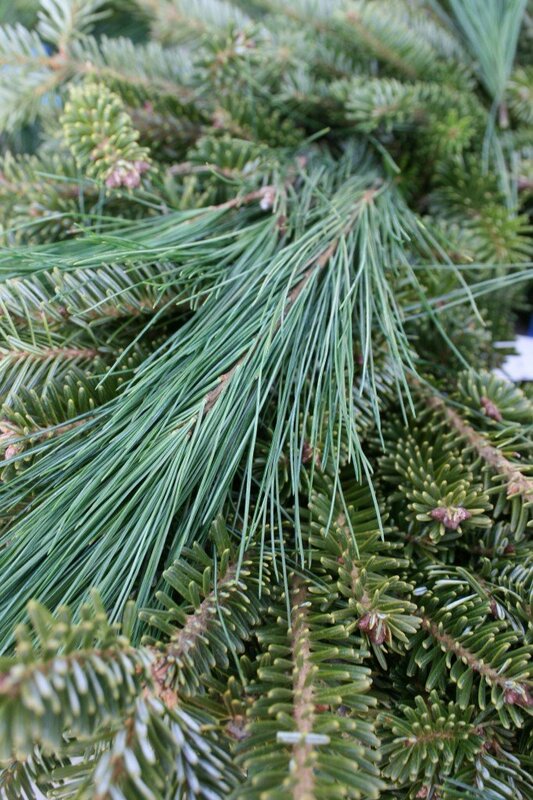 I have found the use of the anti-wilt sprays of pine resin that we use on landscape plants in winter are very effective also in helping keep the needles green into January on fresh wreaths and garland.